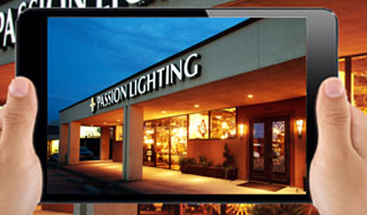 The Passion Lighting lighting lab is currently displaying a variety of recess lighting and controls. The products shown vary from WAC LED tape in cabinet and under cabinet, integrated LED under cabinet alongside fluorescent and xenon under cabinet lighting. 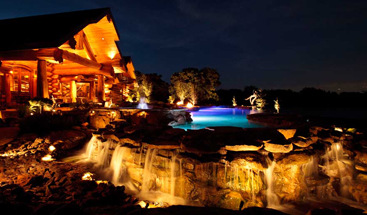 In addition a host of recess lighting is shown in application including 4 inch, 5 inch and 6 inch products. 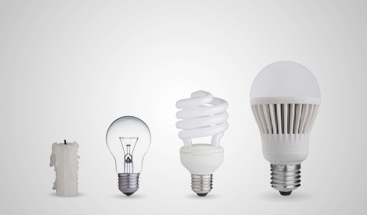 Some products show are original recess technology allowing for a variety of lamping from halogen to LED, while other products shown include integrated LED recess retrofit trims alongside integrated LED recess by Juno. Stop by and check it all out and get more information to help ensure your project is done right. With the rapid development of LED recess products, the Passion Lighting main lab will be redone this fall with some of the newest LED recess products including form 2 inch, 3 inch and 4 inch products along with the latest in retrofit trims, Hyperbolic trims and the latest in Lutron lighting controls. 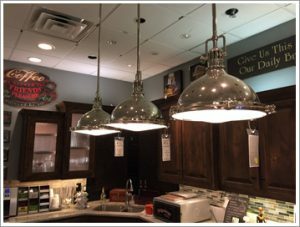 We also have a WAC lighting lab showing some of the different applications of WAC LED tape including 200 lumens per ft, 300 lumens per ft, color changing product and a host of applications in a variety of cabinets. We also demonstrate the full dimmability of the LED tape.